Khalil Composite Textile Industries Ltd is one of the leading manufacturers, merchandiser and exporter of knitting, dyeing &garments. The state-of-the-art technology, equipment of higher efficiency and most of all the driving force of our people led way to make our knitwear as the best one. Present production capacity of the project is about 60 MT (Knitting & Dyeing) per day and Cutting, Sewing & Finishing capacity. Highly skilled and experienced professionals are working in the Merchandising team for each customer to make shipment in time to the foreign buyers. Around 3000 employees/workers are involved in different stages from production to distribution and out of them about 1000 are deaf. The core success of the project comes from high quality production, timely shipment and fulfillment of terms and conditions of the foreign buyers.. The project has been set up with latest machineries imported from Germany, Japan, Taiwan, America, Sweden, England&Switzerland. The project has modern facility with specially equipped fire fighting equipment and a fire fighting vehicle of the company with a team of experienced firemen under the leadership. To know the growth of the financial position of the industry. To understand the investment scenario of the industry. To analyze the financial position of the industry. Topic name is “Performance Evaluation of Khalil Textile Industries Ltd”. For this reason, my sample area is the company itself. To fulfill this research work I used interview sampling method which had be collected from different types of employees of the industry. In this research work, sample sizes are industry’s employees. Primary data had been collected through interview and discussions with the employees and workers of the industry. Annual report of the industry. 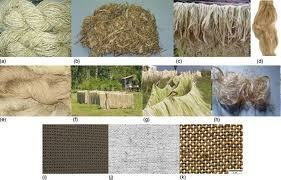 Different papers of the industry. Web site of the industry. The topic name is “Performance Evaluation of Khalil Textile Industries Ltd”. The principal function of the firm is to achieve long and short term sales target and overall growth. To do so overall performance therefore, is very important for profitability and success of a industry. However, for the sake of sound performance, it is necessary to develop a sound policy and modern performance techniques. Otherwise industry operations could not be run properly and also lose the opportunity to survive in the competitive market. In the background of the above things, the issue “Performance EvaluationTextile Industries Ltd” has been undertaken as a comprehensive research topic, which will serve the BBA program. I have been assigned to the industry’s main location i.e. North Kamalapur, Dhaka. And this opportunity paved me the way to get myself familiarized with the industrial environment for the first time indeed. I have had an opportunity to gather experience by working in the different departments of the industry under the supervision of General Manager, Mr. Abdul Motin. Relevant information was not as available as required. In some cases updated information was not available. Due to time constraint limited analytical tools have been used to draw the conclusion of the study. Some desired information could not be collected due to confidentiality of the industry. Due to lack of practical experience, some errors might be occurred during the study. Therefore maximum efforts have given to avoid mistakes. Although Bangladesh is not developed in industry, it has been enriched in Garment industries in the recent past years. In the field of Industrialization garment industry is a promising step. It has given the opportunity of employment to millions of unemployed, specially innumerable uneducated women of the country. It is making significant contribution in the field of our export income. After the emergence of Bangladesh radical change has come to our garment sector. Garment industries started working from the 10’s of the late century. At present there are about 3000 garment industries in the country and 75 percent of them are in Dhaka. The rest are in Chittagong and Khulna. These Industries have employed fifty lacks of people and 85 percent of them are illiterate rural women. About 76 percent of our export earning comes from this sector. Over the last twelve years or so the garments industries have emerged as the largest source of earning foreign currency. About half of the foreign currency from the ready-made garments is earned from European Union and the U.S.A. Besides, Canada, Japan, Australia, New Zealand; Russia etc. also are other garments importing countries. At present about 20 countries of the world are importers of our garments. Its market is being expanded in the Middle East, Russia, Japan, Australia and many other countries. Today, the textile industry of Bangladesh can be divided into the three main categories: the public sector, handloom sector, and the organized private sector. Each of these sectors has its advantages and disadvantages. Currently, the organized private sector dominates, and is also expanding at the fastest rate. The public sector is that portion of the industry controlled by organizations that are part of the government. The factories in the public sector enjoy certain privileges such as government funding. However, in Bangladesh, factories in the public sector are not well supervised. There are frequent changes in officers, and many of these officials do not have a personal interest in the factory for which they are responsible. In addition, the equipment in this sector is not well maintained, as much of the money allocated for this purpose is not spent as planned, but is wasted through corruption and poor accounting. History of Khalil Textile Industries Ltd.
Khalil Textile IndustriesLimited was established in the year 1999 under the leadership of Md. Khalil Chowdhury , Founder Chairman who has had a long dream of floating a textile industry which would contribute to the socio-economic development of our country. He has a long experience as a good business person. A group of highly qualified and successful entrepreneurs joined their hands with the founder chairman to materialize his dream. In deed, all of them proved themselves in their respective business as most successful star with their endeavor, intelligence, hard working and talent entrepreneurship. Among them Mrs. Nusrath Khalil Chowdhury who is the Managing Director of the Industry has a special remarkable contribution behind building this industry. Under their remarkable leadership the industry has been able to produce a comparative higher rate of returns. The authorized capital has been increased from Tk. 200.00 crore to Tk. 800.00 crore. This is one of the largest compliant textile industries in Bangladesh. ETP (effluent treatment plant) has been setup and is under operation for protection of the environment as well. Present production capacity of the project is about 60 MT (Knitting & Dyeing) per day.Highly skilled and experienced professionals are working in the Merchandising team for each customer to make shipment in time to the foreign buyers. Around 3000 employees/workers are involved in different stages from production to distribution and out of them about 1000 are deaf. The project has been set up with latest machineries imported from Germany, Japan,Taiwan,America,Sweden,England&Switzerland. The project has modern facility with specially equipped fire fighting equipment and a fire fighting vehicle of the company with a team of experienced firemen under the leadership of a whole time fire consultant to control fire incident if any. To become a leading and responsible textile industry, which understands the human requirements and acts to balance these requirements by producing world-class products, keeping in view the social, economical and environmental concerns of the nation. To stay at the forefront of technological superiority by adopting, assimilating, understanding, implementing fresh innovative concepts for the betterment of the Industry, Community and the Country. To obtain customer satisfaction through the enhancement of product standards and long-term relationship with the customers world over. To maximize on the workforce by arranging educative workshops, sessions on time-management and by creating conducive work environment. We are committed to becoming the premier manufacturing organization in the textile industry maintaining market leadership in the present business and diversifying into value added projects with the object of maximizing returns for all the stakeholders. To achieve the maximum production capacity. To achieve long and short term sales target and overall growth. To penetrate the USA, Europe market with our products. Day to day operation of the company is vested with the Management Organ .The Chief is the Managing Director Mrs Nusrath Khalil. A team of MBAs of Finance, Marketing and Management discipline are always at his back and call. Chartered Accountants and Textile Engineers besides other professionals remain handy. The chief Executive, the Senior Executive and Executives at all levels are having defined job responsibilities and set goals and objectives with adequate financial and administrative authorities to realize the objectives. In order to co-ordinate management’s efforts at all levels effectively and to establish vertical and horizontal integration of the management efforts and communication systems the whole communication system including feed back rest’s on ‘Novel’ network connected through modem to modem communication between the factory and corporate head quarter. Moreover the company is in the process of integrating the whole Management, Financial and Manufacturing process under one computerized integrated system with the ultimate goal of creating ‘Paper Less’ office. To this affect the company is in the process of finalizing agreement with an USA based company for devising the complete package. The textile industry has seen the application of many new technologies over the centuries. However, the basic steps have remained the same. What is known as the textile industry includes all the steps necessary to transform fiber into fabric that is ready for stitching, sold either in the market or used in the RMG, or ready made garment, sector. These basic steps are spinning, weaving or knitting, and a combination of dyeing, printing and finishing. Prior to weaving the yarn is wrapped around beams and dipped in a size, an adhesive, which when dries gives the yarn a rigid and uniform structure. This yarn is then fed into the looms and called the warp. A thread of yarn, called the weft, passes between alternating warp yarn with the aid of a shuttle, air jet, or rapiers. Knitting, however, can also be used to make grey. Instead of looms, circular knitting machines are used for knitting. These machines use needles fed with yarn that move in an up and down motion and knit interlocking arrangements of yarn. Knit fabric is much softer and more flexible than that produced on looms, and is commonly used for producing articles of casual wear such as tee shirt and under garments. The grey then undergoes the three steps of dyeing, printing, and finishing. I had the opportunity to learn about these processes in great depth on my various visits to textile mills. After the grey is inspected, it goes through a process called the batch method when it undergoes scouring, bleaching, and dyeing. Scouring is the treatment of grey in chemical solutions in order to remove the size, natural fats, waxes, proteins, and other impurities, and to make the fabric hydrophilic. The bleaching process is next. It is essential in giving the cloth a clean white color. It is done using one of two different methods: bleaching with dilute hypo chloride solution at room temperature, or by using hydrogen peroxide solution at elevated temperatures, usually 80 to 90 degrees Celsius. The latter method usually results in better and longer . The scoured cloth is then dyed, and then printed on. Printing is done using perforated rollers that allows certain chemicals and colors to diffuse through the holes. After the printing has been completed, the fabric is washed, soaked in chemicals under elevated. The final process before the fabric is ready for stitching is compacting. With the capacity of 78 MT per day, Knitting unit produces different types of high quality knitted fabrics. The machinery are of different diameters, gauges and properties, to have the capacity to produce different kinds of single jersey and double jersey fabrics, such as plain, designed and jacquard of single & double jersey, Rib fabric and body-size fabric, which are used to make different kinds of garments such as T-shirts & Polo-shirts, men’s and women’s light and heavy sport’s wears etc. With a daily production capacity of 15 tons, the dyeing department is committed to world class dyeing using eco-friendly dyestuff. The department’s state-of-the-art Venus model Sclavos soft flow dyeing machines from Greece are capable of producing solid and yarn dyed 100% cotton, 100% polyester, CVC and TC fabrics. The fully automated, central computer controlled dyeing machines can ensure precise fabric dyeing with a high degree of reproduction and batch to batch consistency. The finishing range consists of automatic slitter, padder, dryer, stitching, stenter, compactor, raising and shearing facilities. The 4-chamber dryer from Monforts of Germany can ensure tumbling property on the fabric, as well as a padding and stretching facility in wet form for better quality. The 7-chamber MonfortsStenter machines with Toptex open-width Compactors and an automatic slitting machine can ensure today’s modern finishing treatments. The capacity is designed for open-width fabric relaxation and shrinking of knitted fabrics, contributing to the ultimate fabric quality. The Raising unit has four computerized Raising and Emerizing machines and one shearing machine from Gematex of Germany. These computer controlled machines are suitable for processing Plush fabrics, Terry, Velour, Polar Fleece, Micro Fleece, Three Thread/Two Thread Fleece, Velour Imitation furs, Blankets, Short Pile and High Pile woven & Double Rib Plush Fabrics and all kinds of brushed knitted products. The finishing range consists of automatic slitter, padder, dryer, stitching, stenter, compactor, raising and shearing facilities. The 4-chamber dryer from Monforts of Germany can ensure tumbling property on the fabric, as well as a padding and stretching facility in wet form for better quality. The 7-chamber Monforts Stenter machines with Top tex open-width Compactors and an automatic slitting machine can ensure today’s modern finishing treatments. The capacity is designed for open-width fabric relaxation and shrinking of knitted fabrics, contributing to the ultimate fabric quality. The company can boast of being one of the few companies to have a Mercerising range from Dornier of Germany, along with a computerized fabric singeing facility. It is capable of producing single and double mercerized solid dyed and yarn dyed fabrics like: feeder stripes, auto-stripers, engineering-stripers, all four. Weighing dissolving and transportation of chemicals and dyestuff causes many difficulties in dye houses. Processing every batch in equal conditions is very important to be able to minimize differences (deviations) between productions lost. Different categories of dyestuff require dissimilar dissolving techniques causing operators several problems. With aid of TBC different category-specific scenarios can be applied to respective sort of dyestuff (reactive disperse etc). Same standards are always achieved as dissolving time and temperature are controlled simultaneously. Multi line technology implemented in TBC assures up most safety in distributing chemical to dyeing machine. Integrating powder chemicals into the automation process eliminates the most labor-intensive task in the plant. Incorrectly weighed chemicals affect the color negatively. Therefore, amounts must be controlled carefully. Furthermore, weighed and dissolving into the additions tank of the dyeing machine causes several other problems. Salt, being used in large quantities, amplifies those problems, especially for darker colors, where it raises the chemical amounts considerably. Khalil Knit Composite Ltd as no doubt, is considered to have the largest and the most computerized dyeing unit in Bangladesh and is known for its high quality fabric free of pilling, bare, bleeding, crocking, off-shade, unevenness, shading, spiraling, skewness, bowing and shrinkage. Dyeing Laboratory is a core essential working agent in Dyeing process. Dyeing Lab is equipped with some Hi-Fi technical appliances like fully computerized Automatic Dispenser (Robolab) which can contains 240 bottles and can make measured, Error-free recipe dispensing for Dye house in working conditions of fully robotic motion. Khalil Knit Composite Ltd. is very much concerned about preventing pollution of environment. Already an Effluent Treatment Plant (ETP) has been established which also have 6 big Water Treatment Plant (WTP) where all toxicant water from the factory is treated and drained out to the nearby river thus preventing. The management iscommitted to reduce of waste disposal, meet all regulatory & legislative requirements for environment and to give the employee best working environmentGarments. Cutting unit, covering an area of 38,200 sft is well equipped with standard cutting tables and automatic cutting machines that allow highest precision and lowest wasted in producing necessary pieces for sewing. The cutting of the fabric is a very critical stage of the entire garment manufacturing process. Highly experienced technical staff well equipped with a minimum of 5 years of expertise is engaged for cutting operations. Our in house facility consists of imported cutting machines; end cutters and band knife cutting machines that enable swift and efficient working. Cutting Room is handled both manually (for stripes, Jacquards to get the stripes and design set in side seam) and also mechanically, i.e., Lay cutting of cloth by cutting masters to make consistent and sharp cuts. The Quality Policy of Khalil Knit Composite Ltd. is to produce and supply garments comply to the qualitative demands of our clients, as they are modified with time and as they are described within international, The company’s Management develops, substantiates and applies all necessary measures for the proper installation. The quality team is headed by Quality Control Manager, Group Quality In-charge and sufficient numbers of quality checkers with the help of modern technology. In order to avoid quality problems, khalil Knit Composite Ltd. not sub letting the orders to subcontractors and ensuring the quality with stringent quality control process within the factory. Our inspectors check every single garment and affix a sticker with a Quality seal before it pass on to the next stage. Various parameters are constantly checked, monitored and controlled in the production process. All recommended tests are conducted for ascertaining Quality standards specified by various statutory agencies of the relevant countries, as per buyers’ requirements. Critical focus is kept on Cotton. The black board test – for yarn appearance. The wrap reel- for yarn count testing. The Lea strength tester for yarn strength & CSP. The fabric undergoes quality control test at the Quality Control Laboratory that has all facilities, to ensure that our garments meet the requirements and specifications..
To meets or exceed the client’s expectations. To fulfill our contractual commitments. To represent value for money. To proactively seek and measure client satisfaction in order to maintain continuous improvement in service delivery. To deliver services and products of the highest practicable quality, reliability and consistency that meet our customers’ requirements. We are proud being WRAP (Worldwide Responsible Apparel Production) certified. The certification ensures that sewn products are produced under lawful, humane and ethical conditions. Following are the core standards that we strictly follow through out our production process. Government of Bangladesh has played an active role in designing policy support to the textile sector that includes back-to-back L/C, bonded warehouse, cash incentives, export credit guarantee scheme, tax holiday and related facilities. At present government operates a cash compensation scheme through which domestic suppliers to export-oriented RMG units receive a cash payment equivalent to 5 percent of the net FOB value of exported garments. At the same time, income tax rate for textile manufacturers were reduced to 15 percent from its earlier level for the period up to June 30, 2008. The reduced tax rates and other facilities are likely to have a positive impact on the textile sector. The existence of sound infrastructural facilities is a prerequisite for economic development. In Bangladesh, continuing growth of the textile sector is dependent on the development of a strong backward linkage in order to reduce the lead time. However, other factors constraining competitiveness of Bangladesh’s textile exports included the absence of adequate physical infrastructure and utilities. The productive efficiency of labor is more important determinant for gaining comparative advantage than the physical abundance of labor. In Bangladesh, the garment workers are mostly women with little education and training. The employment of an uneven number of unskilled labors by the garment factories results in low productivity and comparatively more expensive apparels. Bangladesh labor productivity is known to be lower when it compared with of Sri Lanka, South Korea and Hong Kong. Bangladesh must look for ways to improve the productivity of its labor force if it wants to compete regionally if not globally. Because of cheap labor if our country makes the labor productivity in the apex position, then we think the future of this sector is highly optimistic. The country has no dedicated research institute related to the apparel sector. RMG is highly fashion oriented and constant market research is necessary to become success full in the business. BGMEA has already established an institute which offers bachelor’s degree in fashion designing and BKMEA is planning on setting up a research and training institute. These and related initiatives need encouragement possibly intermediated by donor-assisted technology and knowledge transfer. A facilitating public sector role can be very relevant here. Positive contribution made by policy reforms to the growth of the RMG industry in Bangladesh. In particular, two policies– the SBW facility and the back-to-back L/C system- led to significant reduction in cost of producing garments and enhanced competitiveness of Bangladesh’s garments exports. It also allowed garment manufacturers to earn more profit which, when necessary, could be used to overcome difficulties arising from weak governance. Furthermore, poor governance, reflected in the leakage of duty-free imported fabrics in the domestic market, paradoxically enough also helped the garment manufacturers to earn extra ‘profit’ and thereby enabled them to absorb the ‘high cost of doing businesses – a fall out of bad governance. Corporate responsibility is embedded in the way we do business; in our governing principles, company internal codes of conduct, vision and values and leadership expectations. We work under specified systems to embed corporate responsibility issues such as environmental and health and safety concerns into our management processes and Group policies. As far as possible, we seek to integrate corporate responsibility concerns into our core business functions. Our Corporate Responsibility governance structure in the khalil Textile Industry is going to be starting by the Company Secretary, who will be reporting directly to the Managing Director and Chairman. The Group corporate responsibility team will develop policies and strategies to continuously improve corporate performance and projects within each of our strategic focus areas. Our Ethical Council acts as an advisory body to the executive management of the and secures a high level of khalil Textile Industry focus on ethical matters. The Ethical Council is comprised of elected members from our employees or partners, and management committee. We aim to provide benefit to the society and to as many people as possible, in all our markets. We intent to become an integral part of the society as we join and it is fundamentally important to us that we strive to operate responsibly in all aspects of our operations. Through this it is believed that we can create shared benefit for society and for khalil Textile Industry. We ensure the purchase of environment-friendly supplies and pollution-free process of production. We produce our own electricity to reduce pressure on electricity consume. We do not dump our hazardous in open air and water, so we have an efficient system for the disposal of waste. We prevent pollution through responsible waste management. It is our responsibility to investigate the reduction of hazardous and toxic chemicals pollution. We do periodic review of environmental aspects for continual improvement. We try to keep our Production process environment-friendly. To ensure safe manufacturing we regular maintenance of machines by the qualified personnel and we strictly maintain health and hygiene factor. We have precautionary arrangement in our factory premises to avoid any kind of accident. We establish run off treatment plant in our factory to reduce pollution. We have safety plan, water purification plant in our factory building. What kind of people do you think works for Khalil Textile Industry? You might just be surprised. The fact that the Group Corporate Office is located in the capital of Bangladesh, but has recruited people coming from different Background. This gives us an extraordinary opportunity to harvest knowledge and pioneer ideas from different cultures along with their work efficiency and efforts. New and successful services and innovations emerge in the work place because of this diversity and existence. This strategy developed initiative has well combined with our exchange of knowledge between the diversified partners and sectors has overall benefitted well for the Group. We believe that encouraging an appropriate work-life balance is important to ensure that both men and women excel, learn, develop and share their knowledge at Khalil Textile Industry By supporting men and women both, in harmonizing work and individual needs, the Group has becomes more attractive as an employer while employee performance increases consistently. We encourage a balanced mix of male and female candidates when recruiting for internal leadership development programs and executive positions. Diversity means we include people regardless of gender, religion, nationality or handicap.Khalil Textile Industryrecruitment program is specially designed to meet the needs of competitive partners or employees. The program helps employees or partners to overcome the barriers that often prevent them from participating in the working life. In Khalil Textile Industrywe hire people for their talents, and give them opportunities to shape their own future careers. If you are bold and ready to grasp new challenges, we are ready to help you to fulfill your aspirations. At Khalil Textile Industry we recruit people from different fields. For the betterment of Khalil Textile Industry various concerns we are passionate about the people related to our business and employees. We believe that our employees have the talent to constantly develop and challenge the way we work. To stay on top we reward internally employees which help them to take active charge of their own future. We believe that Experience, Disclosure and Learning are the key to employee development. We reward fresh thinking and encourage employees to seek new experiences and challenges within the Group mechanism. In addition, Khalil Textile Industry offers Training Programs for the young and bold, it is a complete place all in all for students learning about and studying in Textile & RMG sector,. We want you to shape your own future in Khalil Textile Industry .If you wish to be a part of our company, please take the time to explore these pages and submit your resume. We believe in creating a work environment that allows you to work, facilitate you to communicate freely with your co-workers and managers, and ensures your safety and well-being. At Khalil,s we design our health and safety committees in all business units. These committees are there to ensure that the Health, Safety and environment work is performed in accordance with our well-planned corporate guidelines. Our Managing Director will review the Health, Safety and environment work once a month. The MD will audit and then compare the Health, Safety and environment performance in individual business units with international Health, Safety and environment regulations and the overall Health, Safety and environment requirements of Khalil,s as per promised. If there are any discrepancies, the MD will address them and take necessary actions. aims to incorporate a professional and positive place to work with an inclusive working environment. We strive to keep free Khalil,s from any discrimination, be it due to religion, skin color, gender, sexual orientation, age, nationality, race or physical challenged. We aim to ensure there is no harassment at Khalil,s and our employees are required to behave with respect and integrity towards others. Khalil,s does not tolerate any behavior that can be perceived as degrading or threatening. Admits up to 4 new candidates each year in the Corporate House. Strives for an even gender distribution. Seeks candidates with diverse and solid educational backgrounds. Requires Sixteen years of educational Background. Allows no more than one year of previous work experience. Looks for candidates with excellent academic records. Values candidates who engage in extracurricular activities. Undergoing this training module the trainees will be able to maximize their previous experience and knowledge gathered and eventually they will be able to start building an attractive career platform. In addition to performing in real jobs, both in the companies they are hired in, and in the hosting company operating worldwide, the trainees will be exposed to both professional and personal development in various meeting and visits throughout their Training time period. These professional environments exposure will be important arenas for reflecting upon and developing motivating their own career paths. 10. Recent government efforts to promote the industry. 11. Truly vertically integrated from raw material to finished products. 13. Flexible in terms of production quantity and lead time. 5. Caters mainly to the low-end class. 6. Low level of training. 7. The export-import policy of changes too frequently due to which it becomes very difficult for importers to import goods. 8. Delay in delivering the goods at the right time. 9. Lack of economies of scale and advance processing capabilities. 1. Huge demand for value added goods in all major countries. 2. Relocation from high cost economies. 3. Large and relatively untapped domestic market. 4. Rate of import duties is minimal. Opportunity for higher export for the garment sector. The political situation of Bangladesh is not satisfactory. Due to the rapid change in the Government every government sets its own new trade policies. Govt. should apply sustainable policies for the beneficial of the exporters as well as the investors. The economic condition of Bangladesh can also affect the foreign investors increasing inflation rate make the cost of production high and thus reduce the profit margin of the investor. The change in the lifestyle of the people affects the growing demand of the K.T.L.products. The change in the lifestyle and needs in different demographics also affect the demand of the customers. Technological advancement in all the sectors of the country has changed the entire socio-economic environment. Especially in the textile sector there is a lot of technological development. The industry has a sufficient amount of raw materials for which it can produce high quality product at a very low cost. It produces world class products according to the demand. As remuneration is paid in due time the employee turn over rate is comparatively lower. All the employees, workers are fully devoted to the industry’s success. Although the management of the industry has been designed to provide better output but there still are some lacking. The management body is not highly skilled up comparing to relative competitors. The management which is responsible for controlling conflict among workers is not so efficient. The industry is not active in pacing with modern technology. Political instability is a great obstacle for the industry’s smooth operations. The management should be effective enough as it is one of the core parts of the organization running the business. It should stock a larger amount of raw materials so that production never be affected. The trainers should be made more skilled if required as skilled employees/ workers are precondition for success. Training programs should be arranged at a regular interval. The conflict management team must be improved. The industry must cope with latest technology. Political hazards should be controlled in a smart way. Finally, the company should take proper initiatives where required to be succeeded. The importance of the textile industry in the economy of Bangladesh is very high. Furthermore, the industry is expected to be the catalyst in the industrialization of Bangladesh, and has been declared as a thrust sector by the government. However, the largest sub-sector of the industry, spinning, faces numerous problems, coupled with faulty government policies and a lack of fairness in competition fromneighboring countries. The Khalil textile industry is one of the most renowned organizations in our country. It will be the market leader if the company takes some effective steps considering the stated recommendations which will be actually beneficiary for the organization. Most of the information has been collected through field works. Mr. Abdul Motin, Manager of Khalil Textile Industries Limited.